..... Balance Trading .....: A Contested Presidential Election? (A - 80%) - Polls remain tight, giving a slight edge to either Trump or Clinton. Clinton wins the election, but Trump would not concede and starts legal action to contest the election, 2000 Presidential Election all over again. 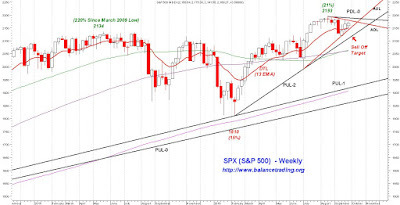 Market significantly corrects, all peaks should be sold. (B - 20%) - Clinton pulls ahead significantly. Trump quits. All dips should be bought. 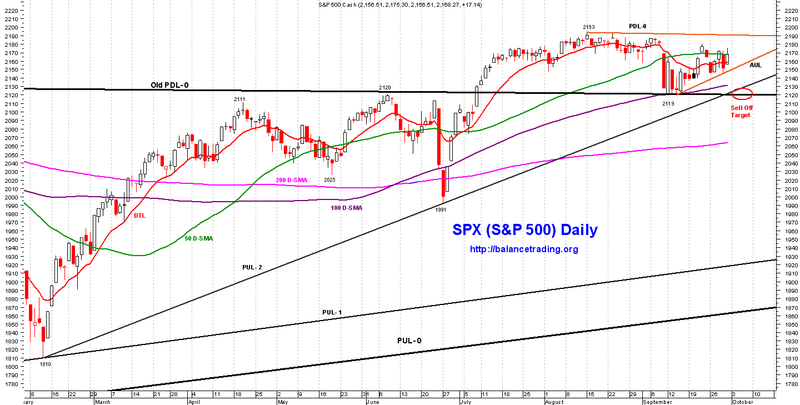 Chances are high that selling continues this coming week as SPX tests its PUL-2 around 2120. 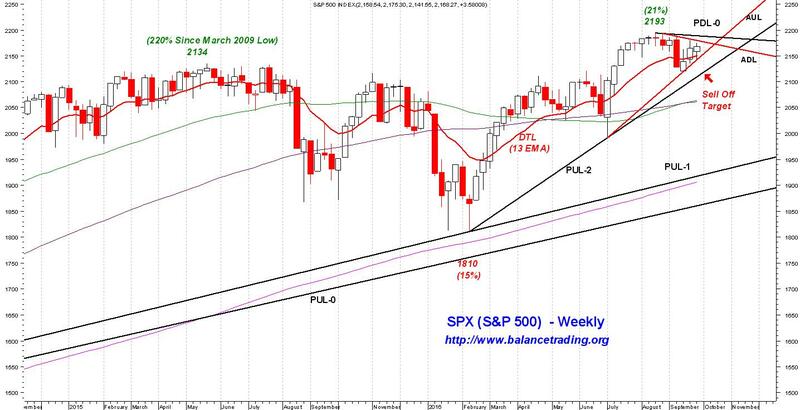 SPX hovered around its DLT and its 50 D-SAM last week. 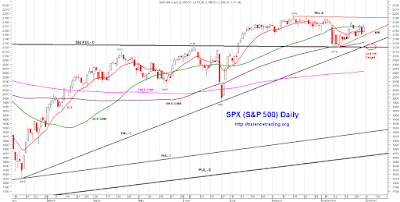 At this point chances are good that SPX continues its selling this coming week to test test its AUL around 2150 and then its PUL-2 around 2120. My plan is to stay in cash for now.